Lady Spectre One Piece Genuine Leather Casual Dress Belt. 1" = 25mm wide One Piece Genuine Leather. 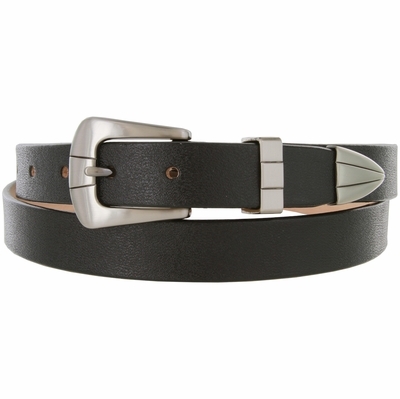 Stitched Brushed Gunmetal Plated Buckle, Matching Keeper and Tip. 7 Adjustment Holes for Comfortabl Fit.